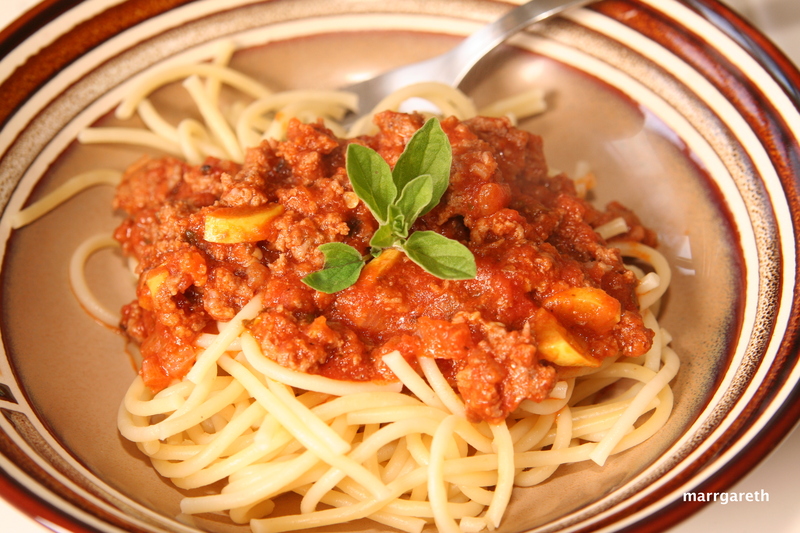 Spaghetti Bolognese is very quick and easy to make. I have to thank my mother in law for this recipe, who makes the best Spaghetti Bolognese I have ever eaten. 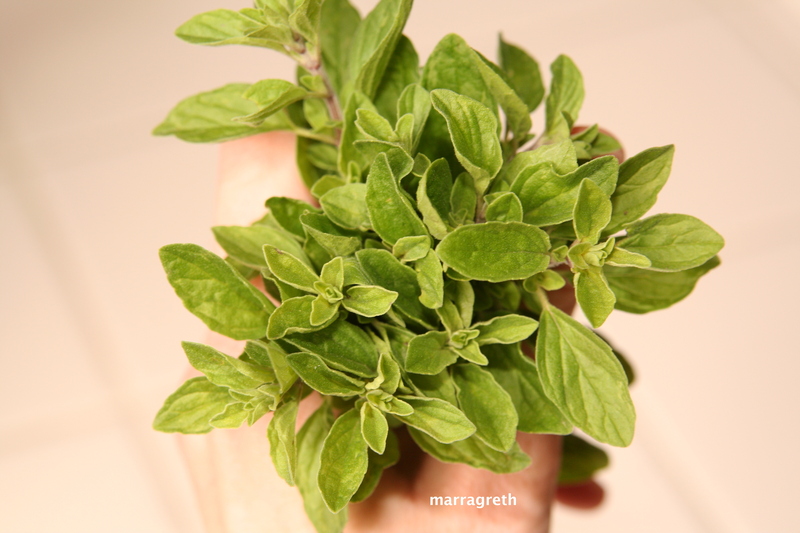 In fact, this recipe is slightly changed from the original, so that it is easier on the children’s tummies: I do not fry the meat too long and I do not use hot spices. The recipe, as all of them does not contain milk or eggs. Let’s start cooking for our kids! 1 tbsp salt to add into the water where the pasta will cook. Heat 2 tbsp of the olive oil in a pan. 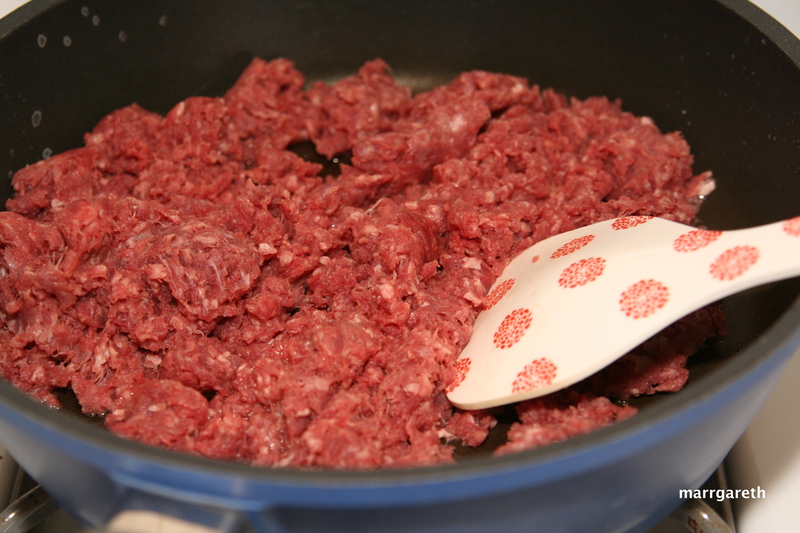 Add the ground beef, onion and cook, stirring occasionally until the beef is browned . 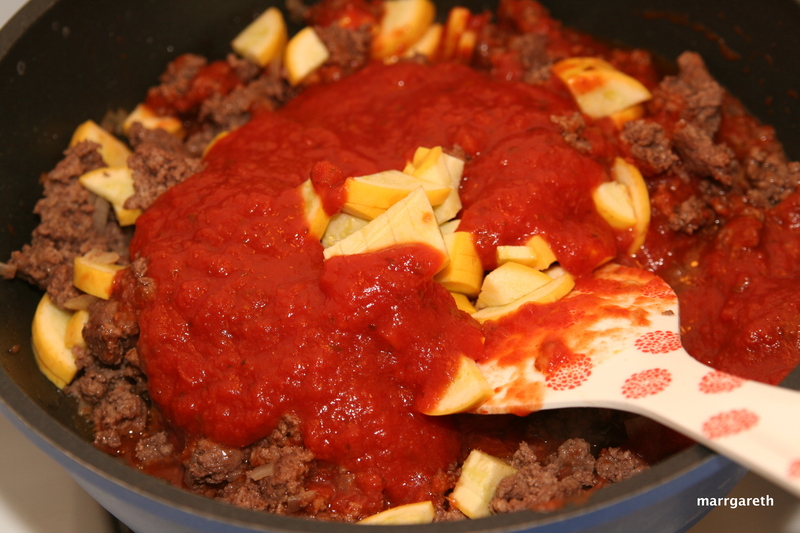 Add zucchini, pour in the tomato sauce and water. 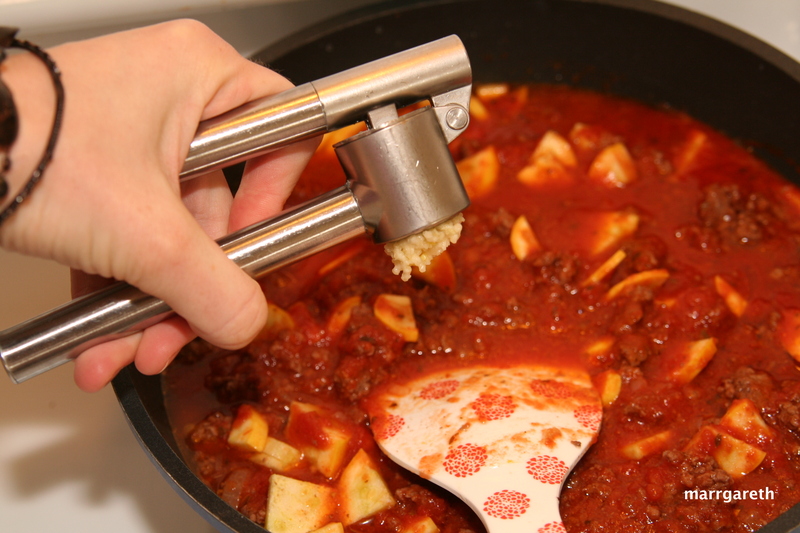 As I mentioned before, it is good to enrich the sauce with some vegetable for example bell pepper, carrot or even mushrooms. It will be healthier for your child. 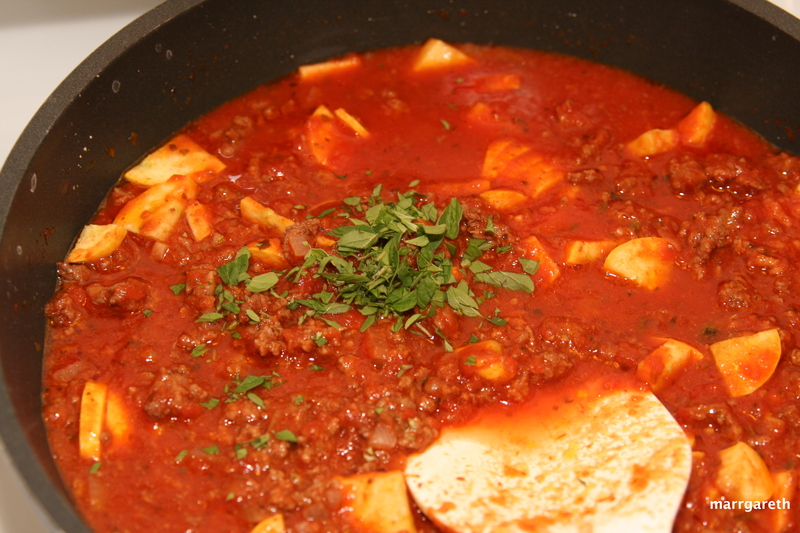 Simmer for about 15 minutes or until the mixture thickens. Season with salt and pepper. 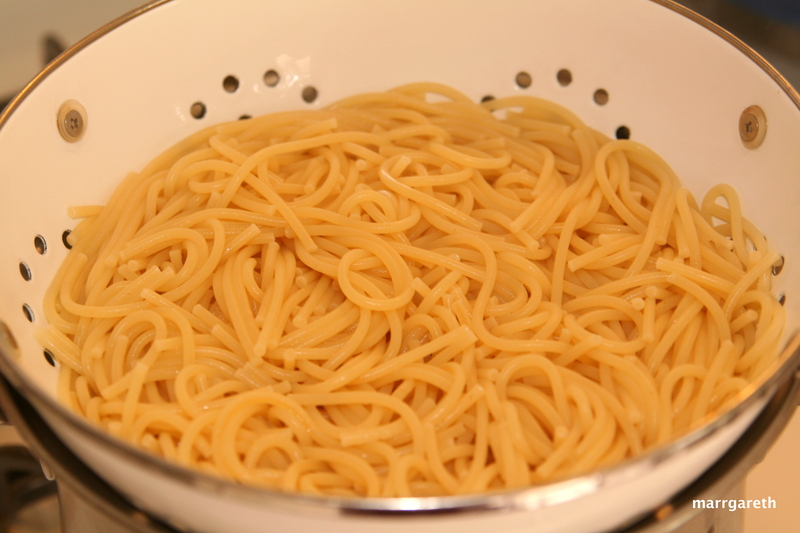 Meanwhile, cook spaghetti in a big pot with boiling salted water. 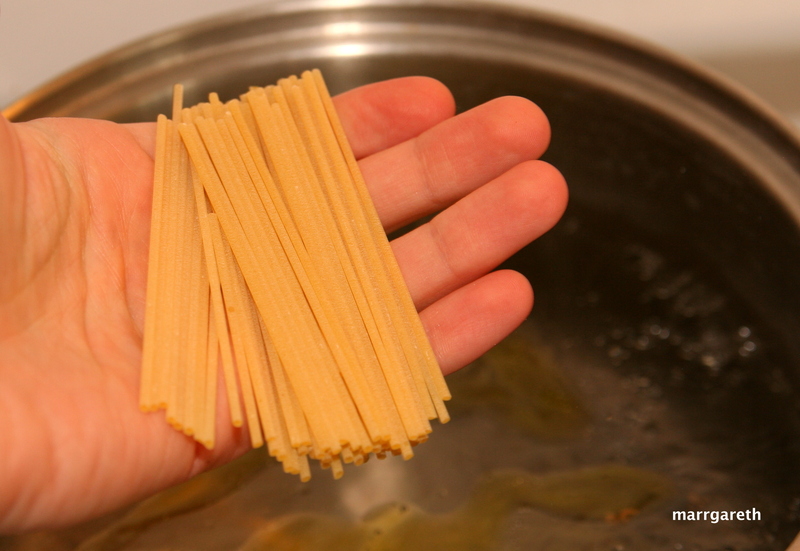 During cooking pour two tablespoons of olive oil into the water, to prevent pasta from sticking together. Adults can have Spaghetti Bolognese with parmesan cheese.